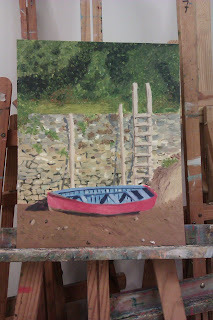 As most of you know, this year I decided to sign up for an oil painting course. 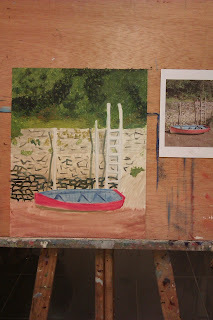 My first 'work' was a scene painted by a famous Basque artist of San Sebastian. 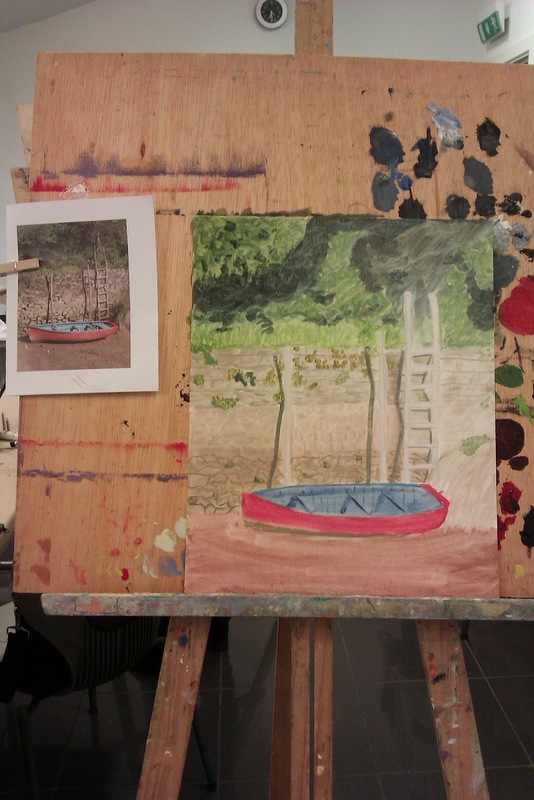 It took me ohhh so long and being my first real painting ever (besides a still life exercise we did in class) I was quite proud of it. In the end, I thought it was the perfect souviner to give to Grammy for having come to visit. 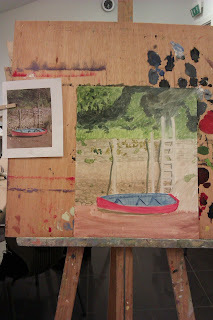 My second painting was personal as well - it is a scene near Joseba's old house that when I lived there in the summer, I used to pass everyday on the bike. 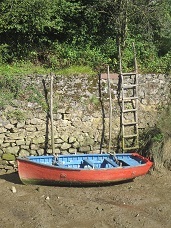 At low tide there was always this colorful but fading boat that sat on the muddy ground with a ladder to nowhere. I can't explain why I love it so much but every time I passed it I just smiled a bit. Since we don't live in the 'country' anymore, I decided painting this scene and hanging it in our house would be a great reminder of our wonderful days there. 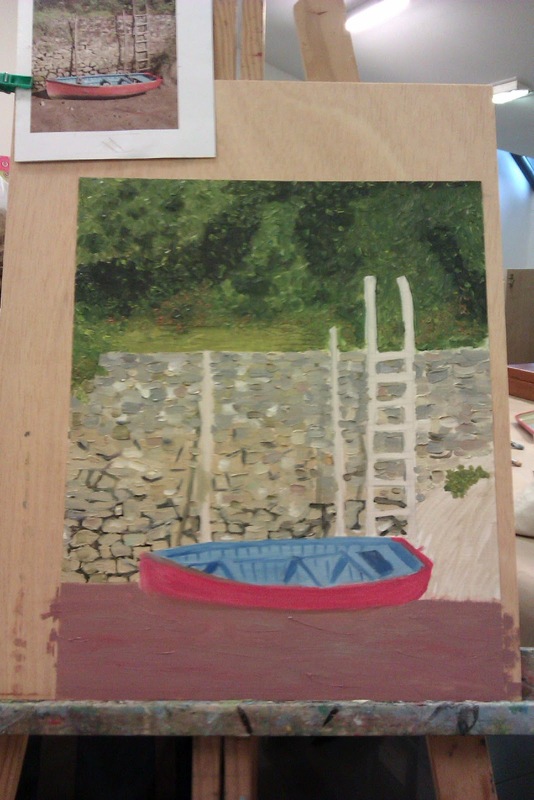 While I only had 4 classes (about 1.5 hours each) I am quite happy with how it turned out. Oil painting is what I love to do as well. I love the painting you did, and I love that you kept a little photo diary of the progress :) its very beautiful! Thanks Magen! It turned out to be a really fun course. Would love to see some of your work too! Just found this newer post as I have been away from your blog for a bit. Your artistic abilities are really developing and you need to be really proud of this latest work. I hope that I read the title incorrectly - I hope that you keep up with this side of your life.